The Kir Royale, a champagne cocktail which just has that little bit more. It is sophisticated, elegant and o-so-delicious. It is the perfect addition to any cocktail party, dinner soiree or Friday night. Just like many champagne cocktails, the trick is to keep them as simple as possible, so as cocktails go, it is probably one of the easiest yet most effective. Just in case you are not familiar with Crème de Cassis, it is a liqueur made from blackcurrants, and it is delightfully fruity. You can buy Creme de Cassis at pretty much any supermarket, although larger shops will be more likely to stock it than smaller express ones. Whilst everyone appreciates good champagne, you need not spend huge amounts on the bubbly due to the fact the crème de cassis is such a prominent flavour. So kick back and enjoy the wonderful simplicity. This is a tough one. 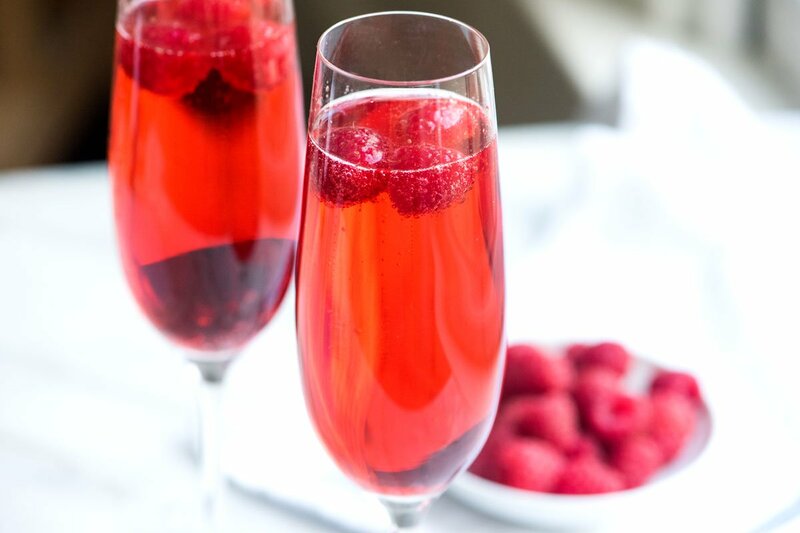 First add the crème de cassis to the champagne flute (or other drinks utensil of your choice), then top up with champagne/prosecco. If you want that extra something, garnish with fruit of your choice. We can recommend: Raspberries, pomegranate or blackcurrants. The Kir Royale is just as lovely with no added fruit. Here at Pop-Up Bar Hire we can help stock, organise and run your bar, so whether you are planning your next cocktail soiree, private party or larger event, contact Pop-Up Bar Hire today for more information.